One thing I appreciate about the City of Downey is its focus on fitness. From the walks with the mayor started a few years ago by past mayor Mario Guerra, to the plans for bike path improvements throughout Downey, the focus is on getting people out of the house and into the open. The latest focus on fitness is at Furman Park. The new and improved walking path was completed in November. 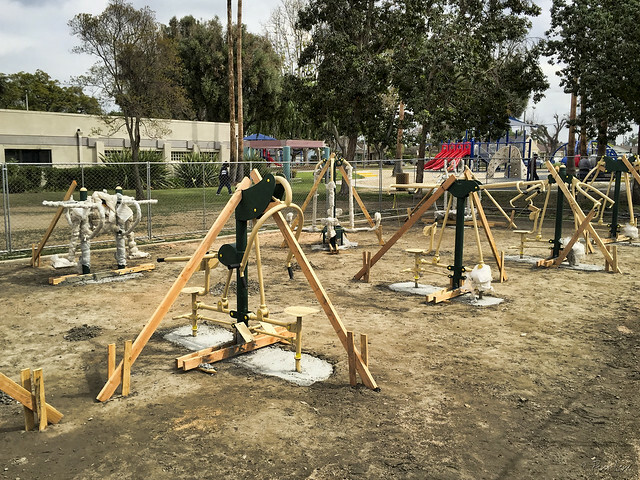 The final stage of the park improvements is this outdoor stationary fitness equipment. All the more reason to take a walk at Furman Park.